I’ve have been pretty obsessed with raw desserts at the moment. Not because I’ve suddenly decided to turn vegan, but because they are delicious & don’t leave you feeling guilty afterwards. 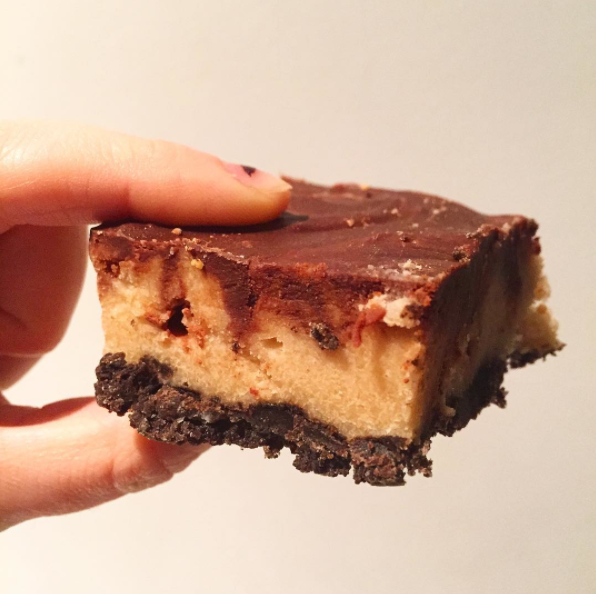 While visiting my sister in Melbourne last week she made a Peanut Butter Cup Slice & it was SO good. 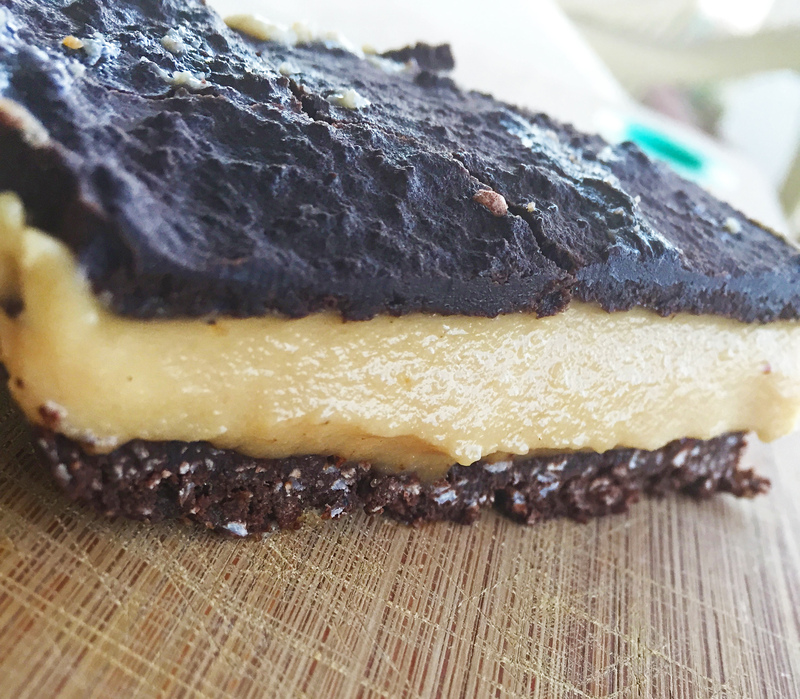 You can find the recipe here: No Bake Peanut Butter Cup Slice This inspired me to try & create my own raw dessert recipe! 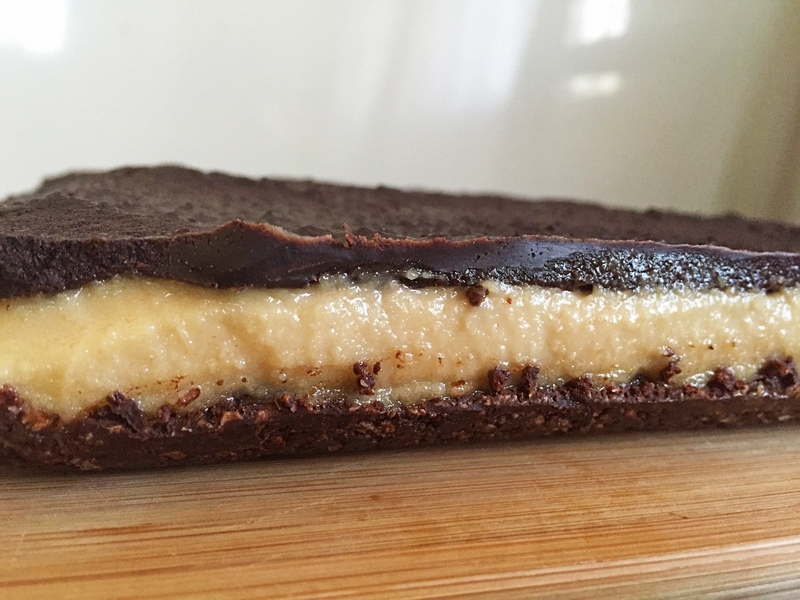 So I looked through a few recipes & came up with this Raw Peanut Butter & Chocolate Slice. I used the peanut butter layer in the previous recipe and changed the top and bottom layers. After trying it it’s definitely going to be a recipe I make quite a few times! The bottom layer is biscuity and kind of chocolate brownie like. 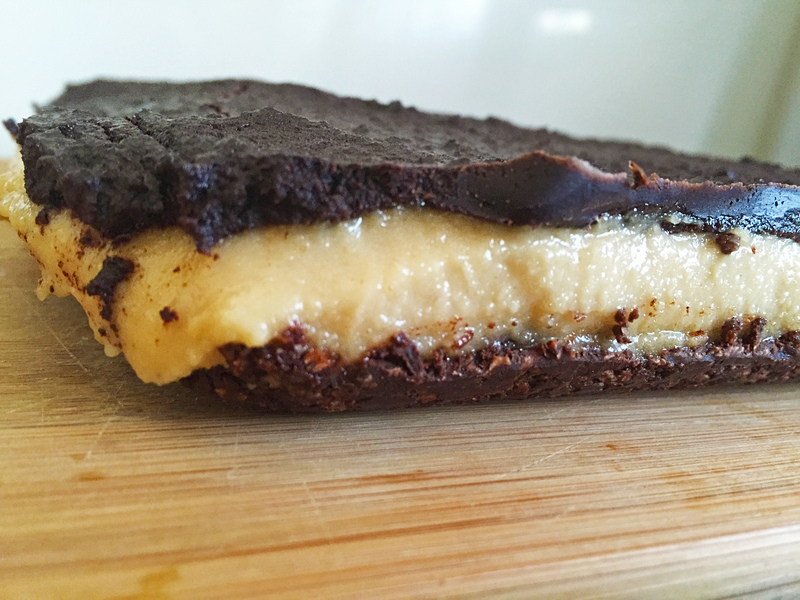 The middle layer is oozy peanut buttery goodness which is not too sweet or overpowering. The top chocolate layer is very rich and chocolately. It is definitely a must try dessert! Considering there are 3 layers to this slice, there really aren’t that many ingredients needed. You will need coconut milk, coconut oil, maple syrup, lemon, cashews, cocoa, shredded coconut, dates and natural peanut butter. All ingredients which are very easy to find and inexpensive. The recipe is also pretty simple and can be whipped up quickly. Brownie layer: Line a baking tray with baking paper. Place all ingredients into food processor and mix until blended, scraping sides of food processor as needed. Put brownie layer into baking tray and place into freezer to set while making the next layer. Peanut butter layer: Drain the cashews and add all ingredients into the food processor and blend until smooth and creamy – about 2-3 minutes. Add more coconut milk if the mixture is too thick. Poor mixture on top of the brownie layer and freeze until chocolate topping is ready. Chocolate topping: Place coconut oil, cocoa and maple syrup into a small sauce pan. Heat over low heat until coconut oil has melted and the ingredients are whisked together. Working quickly, remove tray from the freezer and spoon the melted chocolate over the top. Allow to sit on the counter until all the chocolate has hardened. Return to freezer for 4-5 hours or refrigerate overnight. *for the soaking of the cashews, i just soaked them in hot water for 15 minutes and it did the trick.They should be soft without being mushy. If they are not just soak them for a little longer. This is an important step to ensure this layer is smooth!